First time or not, the sight of this fascinating city as you approach it by water, is enough to leave you enchanted. But many other beauties awaits you in the city; follow us in this Venice iconic landmarks photo tour to discover them all! 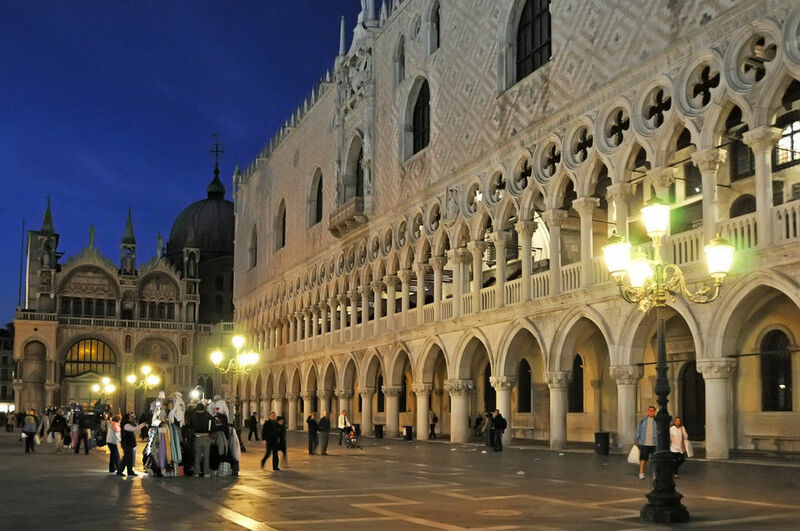 All about the VENICE ICONIC LANDMARKS PHOTO TOUR. Indeed Venice deserves your glance to be directed on each corner, alley and canal, as in each one of them there is something magical hidden. But it is also true that, if this is your first time ever in the venetian lagoon, you can't avoid to visit and photograph the renewed touristic attractions in town, and capture them in a photo. However, the way you shoot a place or a moment, can quickly go from mediocre to magnificent just by employing a little of creativity. Why replicate the same photo everyone else has? find your own angle! The main architectonical elements of the city in this photo tour are interpreted from a new, different point of view. Supported by our master photographer, you will easily obtain breathtaking pictures describing wonderful and happy memories of the places that better represent the city and that you liked most. With us you can forget the classic, conventional version of a picture realized by anyone else. Feel free to explore new composition techniques and new shooting experiences, and try to obtain a picture that really tells a story, your own story! You will be proud when you will show them to your friends and family, or choose which one best suits on the wall of your house. Expand your creativity and let it grow up to a new level, start thinking differently as a photographer, and let your pictures spark with creative energy and innovation. Consider that the best photos aren't always taken straight ahead, so develop close-up and abstract pictures, zoom on some details of the buildings and look upon or below things for discovering interesting details, views and corners; our master photographer will help you find different perspectives. Inspiration will surely not be a problem strolling around with us! Come and shoot the architectonics venetian attractions all the world longs for; capture not only their beauty but also their essence and soul, by imaging what kind of life has been lived behind those doors. Ancient residence of the Doge of Venice, the Doge's Palace has been restored several times in many centuries due to fires, infiltrations and structural failures. The palace is today extremely interesting both outside, for its gothic architecture, and inside for the museum it hosts and the many artistic elements dating back to the XVI century. 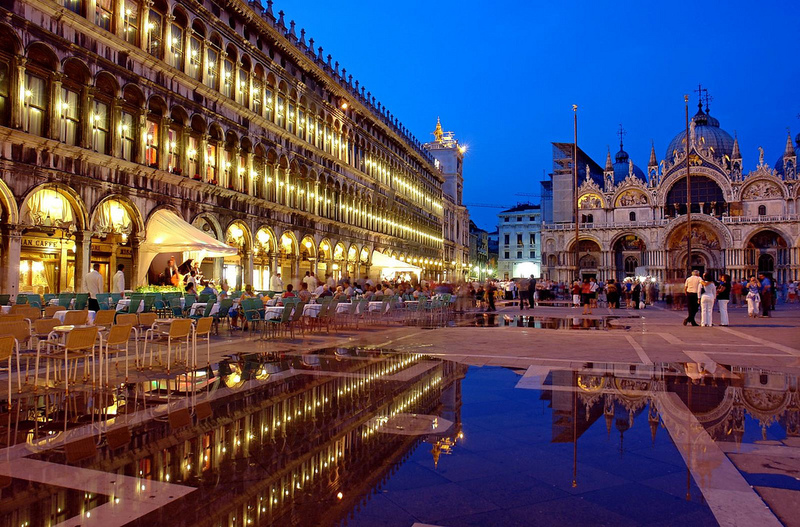 St. Mark's Square is Venice's most famous landmark. It is full of charm and particularly inspiring in the early hours of the morning when few people stroll quietly in the square. 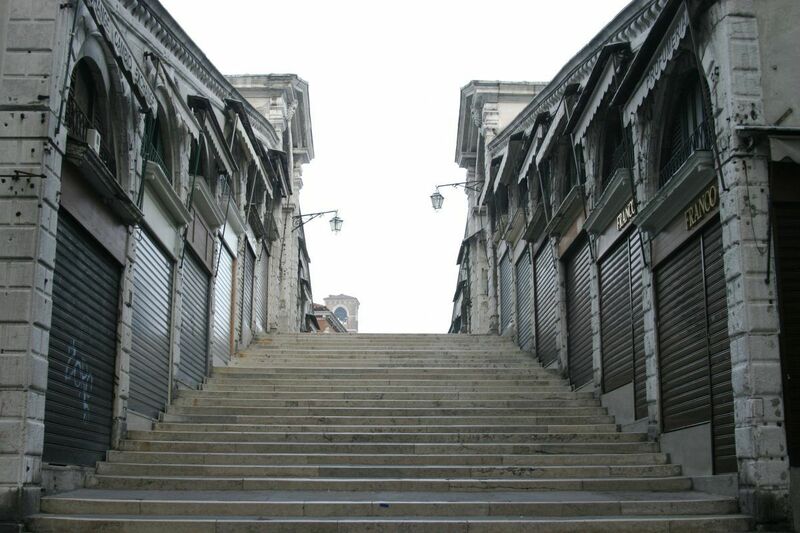 Moreover, being few above the sea level it is subject to the interesting and peculiar phenomenon of "acqua alta". 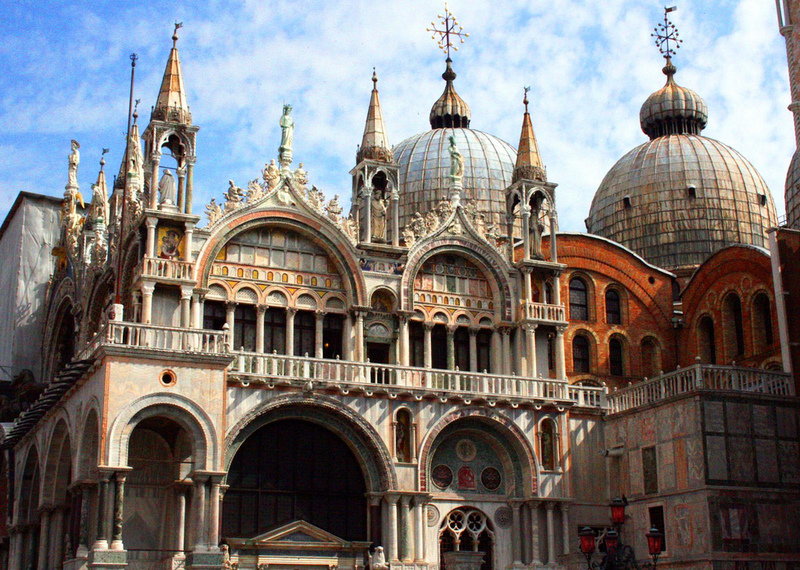 The cathedral of St. Mark, brilliant example of gothic architecture and a living testimony of Venice’s links with Byzantium, stands in the middle of the magnificent piazza San Marco. 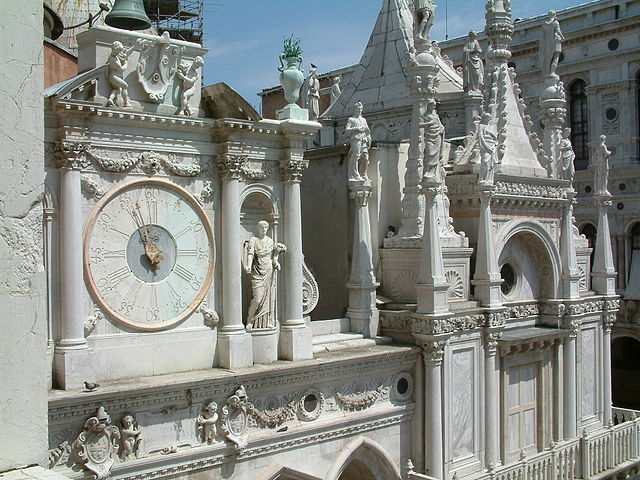 Rich in details, mosaics and interesting elements is a symbol of the ancient Venetian wealth and power. Thanks to its opulent design, it is particularly interesting from a photographic point of view. 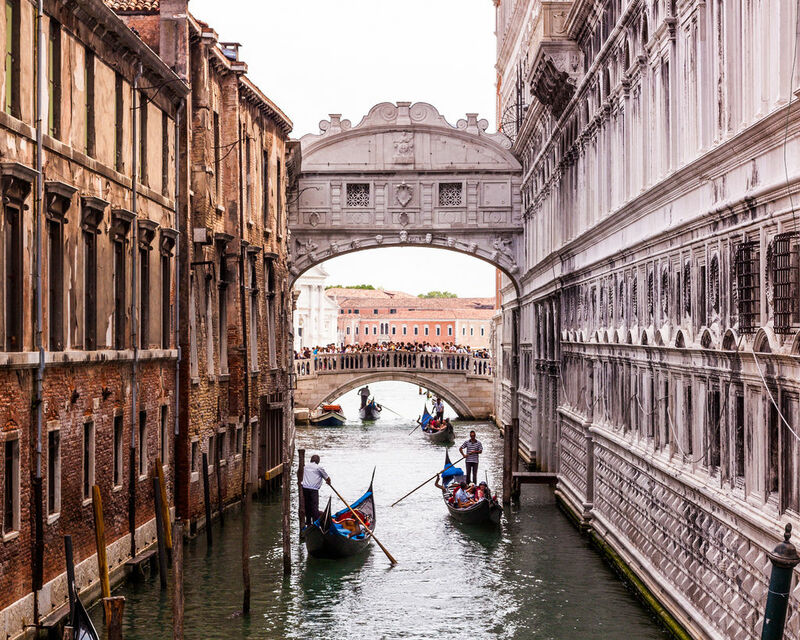 The Grand Canal is surrounded by ancient buildings and bridges. Capture the coming and going of the gondolas cruising on the main street of this peculiar city. You can take advantage of the water movements and the reflections on its surface. There is always something interesting to capture with your camera from the Rialto bridge. Even on rainy days! Crossing the Grand Canal, the lights and people on this bridge are usually very interesting to be shot, even from the buildings that surround it. Photographer and instructor, Michele is a founding member of Mumble Photocollective, a collective for the diffusion and promotion of the street photography culture.